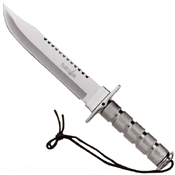 This Master Cutlery Survivor Fixed Blade Knife comes equipped with a survival kit so you will be fully prepared for anything the outdoors throws at you. 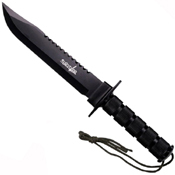 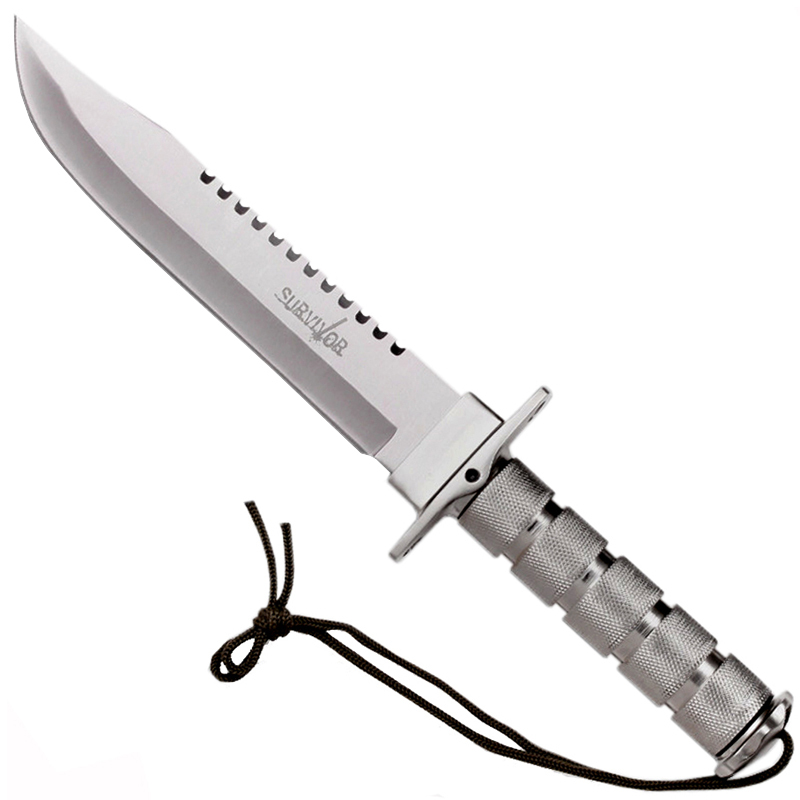 The survival knife has a satin finished stainless steel blade with reverse serrations. Its survival kit has a slingshot, compass, matches, fishing line, skinning knife and a cord-wrapped sheath to protect your knife. 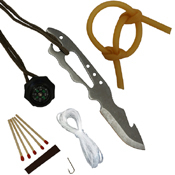 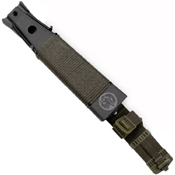 Includes Injection Molded Sheath & Fully Loaded Survival Kit.